The lake whitefish is the largest of our four whitefish species. They commonly weigh 2 to 4 pounds, and the state record is 10 pounds. 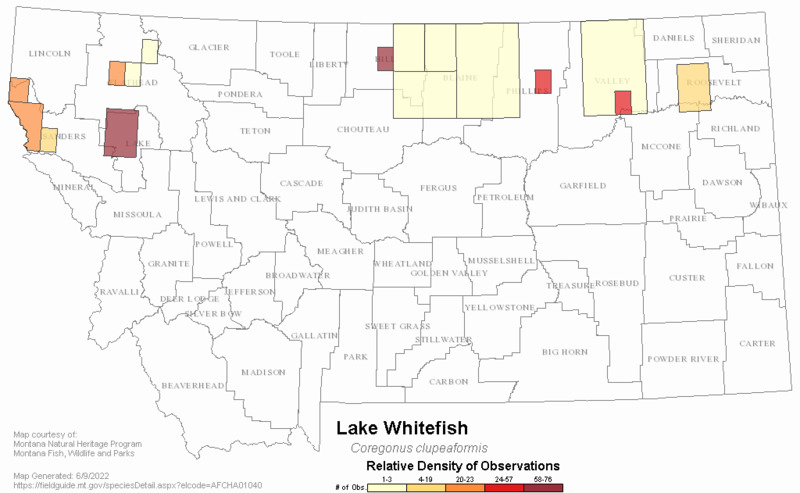 The lake whitefish has a deep, flat-sided body and is found mainly in the depths of clear, cold lakes across northwest and north-central Montana. All Montana whitefish are fall spawners. Adult lake whitefish move into the shore zone to broadcast their spawn randomly over a rocky bottom. Lake whitefish are schooling cold-water fishes and feed at depths often over 200 feet on plankton and other invertebrates. The lake whitefish is the most valuable commercial freshwater fish in Canada, but in Montana it is just beginning to catch on as a game fish in the Flathead Lake area. Silvery, with olive to light brown back. This is the only Montana whitefish that does not have a distinct notch below pupil in membrane surrounding eye. The Lake Whitefish is native to Montana only in the Saskatchewan River drainage on the east side of Glacier National Park. 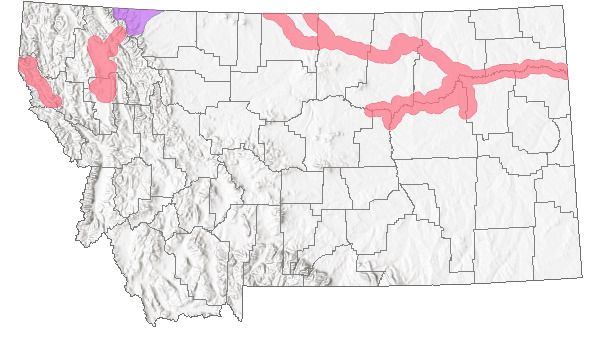 However, the species has been widely introduced across northern Montana. Primarily deep, coldwater lakes where it is found mostly at depths of 50 to 90 feet. Spawns over shallow shoals near shore over rocky or sandy bottom; rarely ascends tributary streams. Has thrived in Fresno Reservoir, a shallow, warm, often turbid reservoir. Northern populations typically spawn every 2-3 years. Sexually mature in 4-5 years, some males in 2 years. Spawns Oct-Jan. depending on local conditions. Spawns at night. Eggs broadcast. Incubation: about 1 month at 50 degrees F. (Brown 1971). Leathe, S.A. and P.J. Graham. 1982. Flathead Lake fish food habits study. Montana Department of Fish, Wildlife, and Parks. 137 pp. 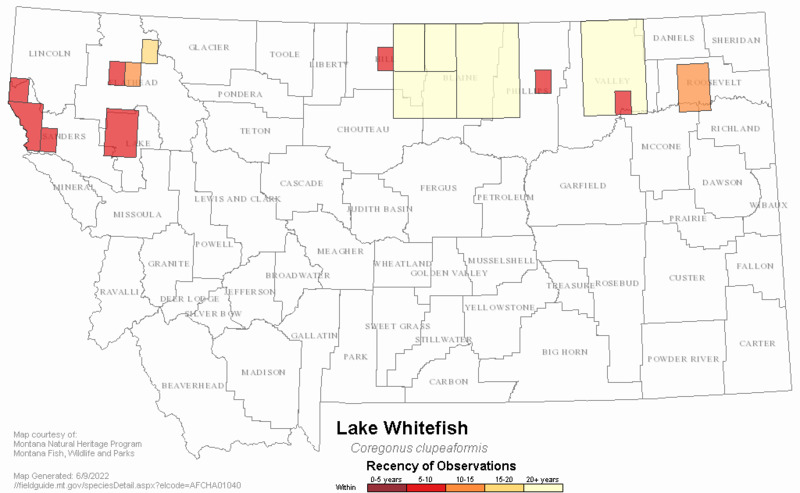 Web Search Engines for Articles on "Lake Whitefish"